* You may use frozen or fresh blueberries. Keep in mind, however, that the frozen blueberries will turn your batter slightly blue. Set your oven to 350 degrees F to preheat. Whisk dry ingredients (coconut flour, salt, baking soda, cinnamon, and Xylitol) in a medium sized bowl. With a mixer, blend the dry ingredients with the wet ingredients (eggs, milk, and vanilla) until well blended. Setting the mixer on low, pour in the melted coconut oil slowly and blend thoroughly. Add blueberries and gently fold them into the batter. Fill twelve paper-lined muffin cups two-thirds full with batter. Bake at 350 degrees F for 30 minutes or until they pass the tooth pick test or until the center springs back to the touch. The tops should be golden brown. For garnish and an extra crunch, sprinkle Xylitol over your hot muffins. Let your hot muffins cool for 5-10 minutes before serving. 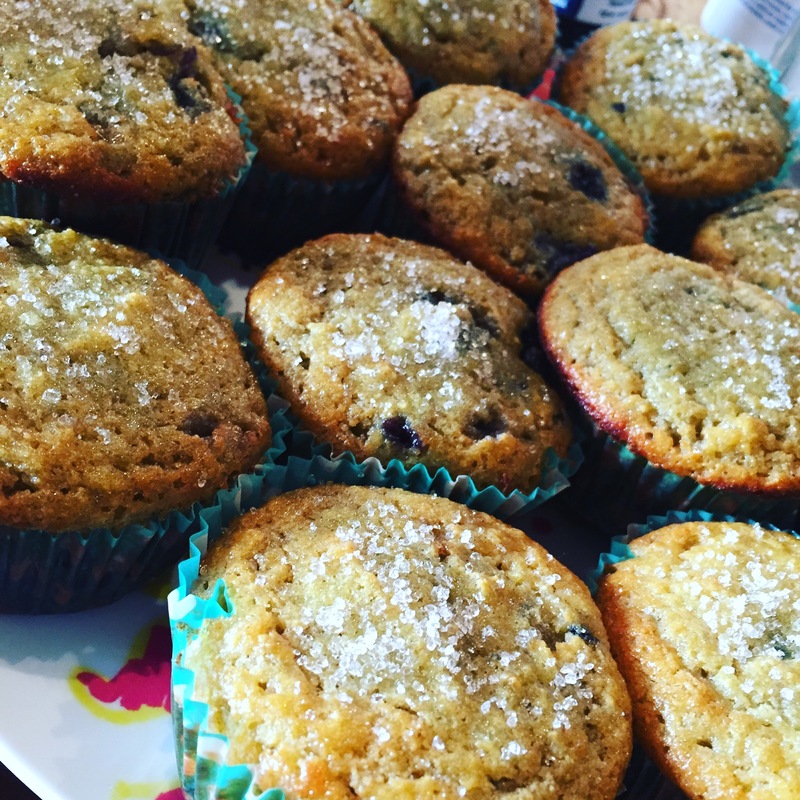 These muffins store well for about 3 days in an airtight container. You may freeze them up to 3 months.